T38Fax has partnered with Telinta, a leading provider of hosted switching and billing solutions for VoIP service providers. How can this benefit T38Fax customers? You and your resellers can easily offer a seamless IP solution for both voice and fax under your own brand by using T38Fax’s fax-optimized origination and termination with Telinta’s cloud-based TeliCoreTM softswitch platform. 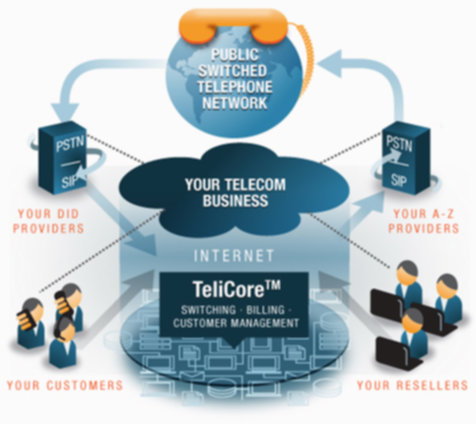 Founded in 2002, Telinta, Inc. offers secure and reliable cloud-based Switching and Billing solutions for VoIP service providers around the globe. Telinta’s full portfolio of white label carrier-grade solutions is highly customizable for VoIP service providers and their resellers. This includes Business and Residential VoIP, Hosted PBX, Audio-Conferencing, Calling Card, Pinless, Mobile, Callback, Wholesale VoIP and other solutions. Please visit Telinta at https://www.telinta.com for more information. Telinta’s Hosted Platform enables you to easily offer both voice and fax.